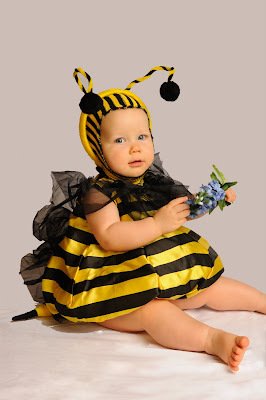 Isn't this the most adorable baby bumblebee you've ever seen? 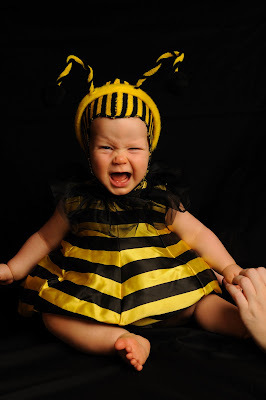 Even the picture of the angry baby bumblebee is super cute! 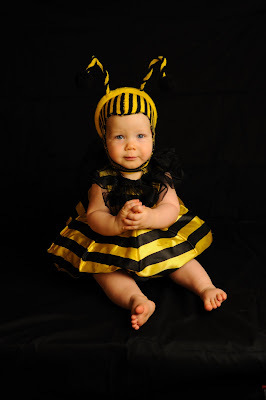 I got this bumblebee costume for Rachel last year just before she was born. 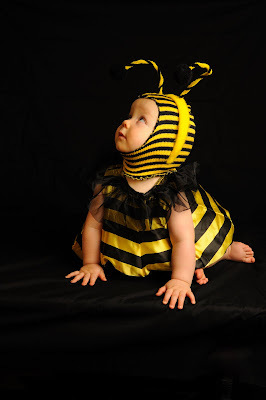 She was born in October 20th and I wanted to have a cute costume for her to wear on Halloween. Stuart took Nicholas trick-or-treating while Rachel and I sat on the front steps handing out candy. 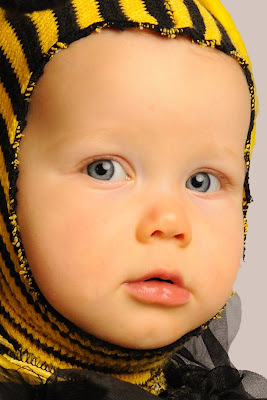 Rachel wore her bumblebee costume and slept in my arms the whole time. 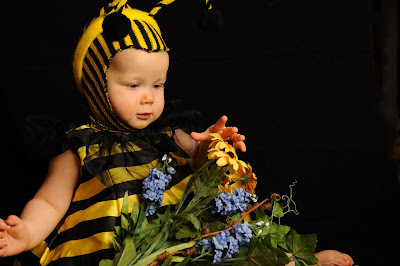 Everyone loved seeing the baby bumblebee. 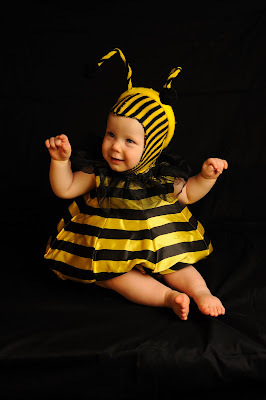 I was recently putting together some of Rachel's clothes to give away to a friend of mine and I found the bumblebee costume. Before giving it away, I wanted to get one more set of pictures of her in it. 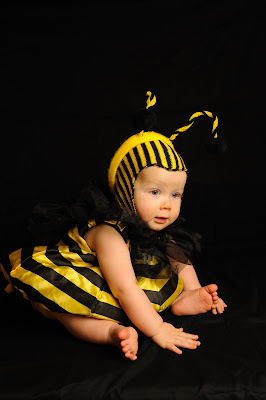 Thanks to Stuart Chance Photography I have pictures of the most adorable baby bumblebee ever! But the one of just her face with the black background is outstanding. And I LOVE the one with her full body, sitting, black background, looking up. GOOD STUFF!! !